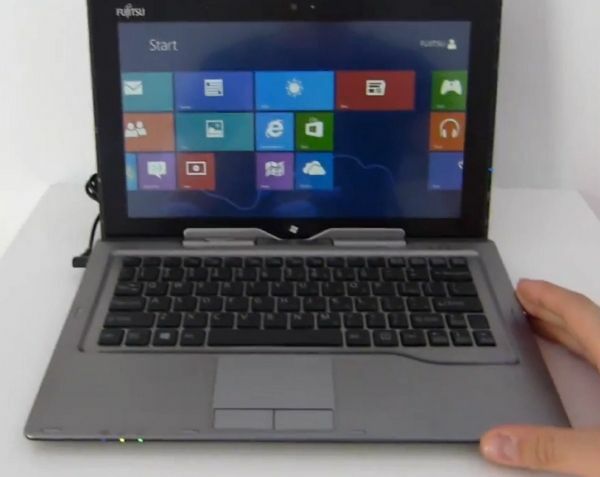 Tag Archive | "futjisu touchscreen ultrabook"
Fujitsu is launching a transformer-style hybrid Ultrabook, the Stylistic Q702. The company has experience making tablets and it shows — the Q702 is probably the most well rounded hybrid we’ve seen launched thus far with a very good port set for the size, capacitive and active digitizer screen, and even a built-in stylus. Our man Nils is on the show floor at IFA as we speak and has a look around the upcoming Q702.